Happy Friday, friends! 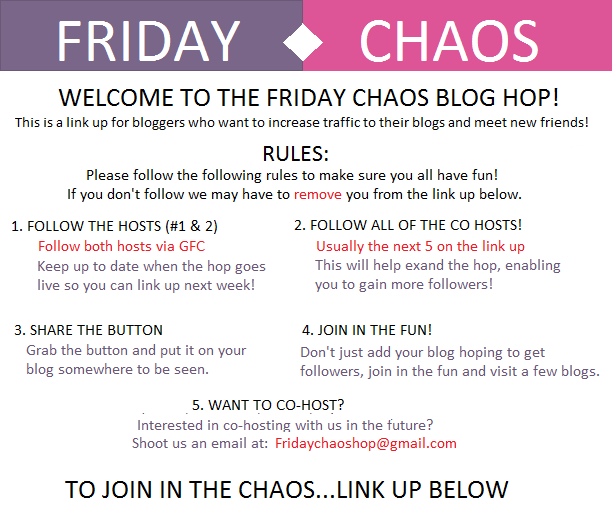 I'm so excited to be co-hosting Friday Chaos today! It's a great way to have some fun and meet other bloggers! If you're new here, thanks so much for stopping by! To link up, head on over to Oh So Amelia! Unfortunately the linky isn't working for me. bummer! Thanks for co-hosting with us. Shame the code isnt working. Will it not show? Thanks for having me co-host! I loved it! Thank you, Emma! So glad you stopped by! Thanks for co-hosting this link up. Im always happy to link up!